On behalf of the teaching staff, I welcome you and your child to Castlegar NS. We all hope that the next eight years will be a happy and worthwhile experience for all of us –children, parents and teachers. How can I enrol my child in Castlegar N.S.? You will need to fill in our pre-enrolment form Castlegar NS Pre enrolment form and send it to the school. Please be aware that places in our school are offered in accordance with the criteria set out in our enrolment policy. Places are limited so we strongly recommend you pre-enrol your child in good time. Your child’s name will be placed on a pre-enrolment list (names are recorded in order that applications are received). In the year your child is due to start school you will receive a letter from the school in January asking you to confirm that you are still interested in a place. An information evening will be held around Easter time – you will be notified by post. You will be asked to formally register your child in June at which time the children are also invited to attend school for a short time to meet the teachers and explore their classroom. Please remember to inform the school of any changes in address or contact details. Welcome to Castlegar National School. Fáilte romhaibh agus roimh bhur bpáistí. 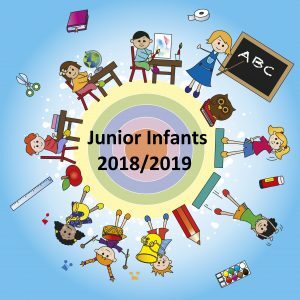 We hope you are looking forward to your child’s next milestone; starting Junior Infants in Castlegar National School for the 2018/2019 school year. In preparation for your child commencing school with us, we have created this web page, with excellent links and supports for you, as parents, to prepare your child for Junior Infants. We also envisage that this page will give you an insight into the school policies and programmes that we use in Castlegar.